Moulikatou Fousseni always knew she wanted to be a midwife. As a young girl, Fousseni loved caring for others and found the work of midwives fascinating. It was her passion. At the age of 25, Fousseni completed schooling at the National School of Midwifery in Lomé, the capital city of Togo. Located on Africa’s west coast, Togo has struggled to address health issues with a reported 368 pregnant women dying per 100,000 births. As part of Fousseni’s program, she began work at a health clinic in Sarakawa, a remote village in northern Togo that lacks the medical resources readily available in Lomé. In early 2017, Fosseni arrived at the clinic with a goal to ensure that women in even the country’s most remote villages had access to a trained midwife. 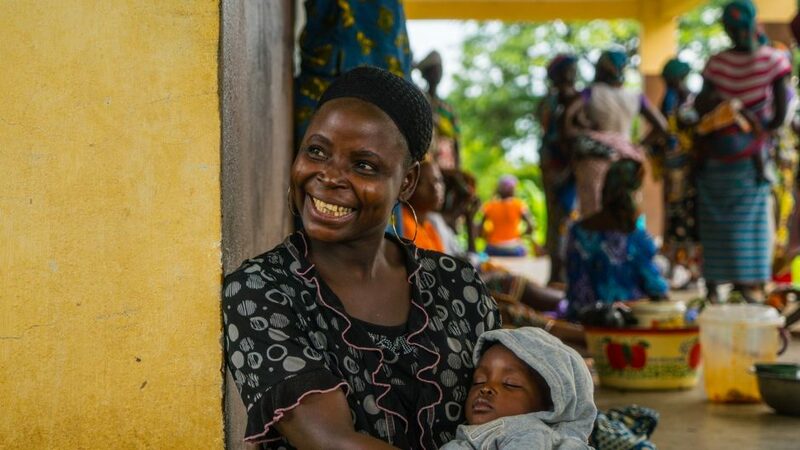 With support from Hope Through Health, a non-profit providing crucial healthcare services in northern Togo, the Sarakawa Health Clinic serves rural communities in the region. The organization’s mission is to deliver community-driven healthcare in neglected settings in Togo. Direct Relief is committed to supporting Hope Through Health’s life-saving work. To help increase access to maternal and child healthcare services in Togo, Direct Relief sent 20 Midwife Kits last year to Hope Through Health. Direct Relief Midwife Kits are endorsed by the International Confederation of Midwives and contain the 59 essential items a midwife needs to perform 50 facility-based deliveries. So far in 2017, Direct Relief has delivered 10 re-supply kits to Togo to replace consumables in the kits, including prescription drugs, gauze, gloves and other items that the midwives use on a regular basis. Direct Relief’s Midwife Kits alleviate a lot of stress for midwives like Fousseni. She doesn’t have to worry if she will have quality medicines or supplies to deliver a healthy baby. It’s all in the kit. “These kits allow me to do the work I was trained to do,” Fousseni said. Support from Direct Relief ensures midwives can treat to those who need it most, supporting Hope Through Health’s mission to deliver the quality care patients deserve.